The Port Harcourt Refining Company Limited will start refining crude oil and will contribute to petroleum product availability by the end of this month, the Nigerian National Petroleum Corporation has said. It also assured that on or before the end of this week, the scarcity of Premium Motor Spirit, otherwise known as petrol, will cease across the country. The Group Managing Director, NNPC, Dr. Joseph Dawha, disclosed this in Abuja on Thursday after inspecting some petrol stations in the city. He said, “Presently, the refineries are undergoing rehabilitation and we are undertaking what we call a new strategy to carry out the turn around maintenance on them. Basically, what this means is that we are carrying out phased implementation of rehabilitation of the refineries. “We are taking the refineries unit by unit and carrying out turnaround maintenance on them. So in other words, the maintenance are being carried out on the run and we started a couple of months ago. NNPC has four refineries, two in Port Harcourt, and one each in Kaduna and Warri. The refineries have a combined installed capacity of 445,000 barrels per day. A comprehensive network of pipelines and depots strategically located throughout Nigeria link these refineries. Dawha said the maintenance exercise on the refineries were spontaneously taking place in all the facilities. He said, “At the end of the target 18 months, most of the refineries would have been rehabilitated to such level where they can actually process crude optimally to make contributions to the availability of products in the country. He explained that why the refineries were not running was a conscious decision, adding that “we decided that if the refineries were not in good state to process crude for maximum gain, then there was no point sending crude to the refineries. The Managing Director, Pipelines Product Marketing Company, Mr. Haruna Momoh, stated that the NNPC imports 50 per cent of petroleum products into the country. 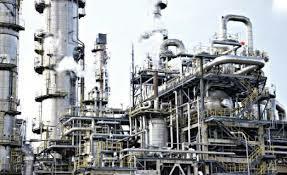 He noted that when the ongoing rehabilitation and turn around maintenance of the Port Harcourt refinery is completed in July, 2015, the plant would run at 80 per cent installed capacity and produce five million litres of petrol on a daily basis.